On November 10- Monday morning, as usual, I clicked my Internet Explorer to check my email. And I saw a familiar face and curious to read the title of the news. It was the photo of one of the individuals who transformed my life. It was Dr. Myles Munroe’s. I never thought for a second that the title would stun me. It read, “The well-known motivational speaker and religious leader Dr. Myles Munroe killed in a plane crash”.For a while, I thought it was a dream. Then, I opened more major news outlets, and it was a true story. It happened the previous night on Sunday around 5 PM in Grand Bahama. Nine people including Dr. Munroe killed in a tragic accident. This news was one of the worst that I have ever received. A man who had contributed so much to his country and the world ended up dying in a plane crash just one day before he opens his popular annual Global Leadership Forum. I was saddened, and no words could be able to express what I felt within me. This is a man who taught me about many possibilities. I remembered reading his book ‘Becoming a leader’ in the late 90’s while I was in my final years at Addis Ababa University. Not only that, since I came to the US in 2005, I have been watching his speeches, and read many of his books on leadership, vision, purpose, potential, succession plan, and more. However, I don’t want to talk about his death in this article. Rather, I’d like to strike a conversation with you about his legacy, and most importantly, the lessons we should learn from his life and legacy. What is the most important legacy of the man? He died empty. Though he has done so many things successfully, the most important single legacy that I want to emphasis here is- he died empty. He released and maximized his potential, raised others, poured out himself like an offering, and finally passed the baton to the next generation. For this extra ordinary accomplishment, my hat off to him! As my title indicates, Dr. Munroe embodies dying empty. A gifted communicator, prolific author, and thought leader, he served selflessly. He served his community, country, and the world at large with his gift. Myles pursued his passion whole-heartedly, emptied himself, and finally ‘robbed the grave’. What a legacy! What is the most important lesson we should learn from his life and legacy? Living each day with a sense of urgency. As you can see, life is too short. You and I will transition from this world to the next. It will happen; the only question is when? We don’t have control about when our lease expires. There will come a time we must switch our existence from this world into eternity leaving this physical world belted with time and space behind. But we have control on how we should spend the rest of our life. The real question is: Have we decided to die empty by maximizing each day we are going to spend on earth? Dr. Munroe lived with a sense of urgency, robbed the grave, and passed away. Will that be your and my destiny? Or are we going to think that we have ample time to squander? Are we, some how, thinking that we have control when we exit from this world? The final question is: Do you pledge to die empty today while you’re alive? Do you spend each day in the pursuit of your purpose in life? Do you enter into a sense of urgency and maximize each opportunity you have starting from today? If we don’t learn anything from this man’s life, we should learn the importance of pursuing our purpose and dying empty by entering into a sense of urgency. This is your and my turn to decide that we are going to, let me borrow his word, ‘rob the grave’. 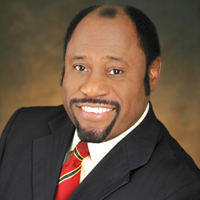 It is time to enter this covenant, saying that we will give our best and in the end join Myles Munroe empty. Let’s know if you need our help to start living with a sense of urgency, the prerequisite to die empty: If you want us to help you empty yourself and leave legacy, you may contact us. There are some great products and services at Success Pathways that could enable you die empty. The book “Redefining Leadership” walks you through on how to claim your birthright of leadership, breakthrough barriers and bear the fruits of leadership that includes leaving legacy and dying fulfilled. “The Nine Cardinal Building Blocks for continued success in leadership” book also enlisted sense of urgency as one of the nine cardinal building blocks. Myles lived with a sense of urgency and because of that he could be able to die empty and get fulfilled. You too could do the same!